The "Michel" is one of the most visible sights of the beautiful city of Hamburg. It is absolutely one of a kind. Its baroque style defines the city's image. 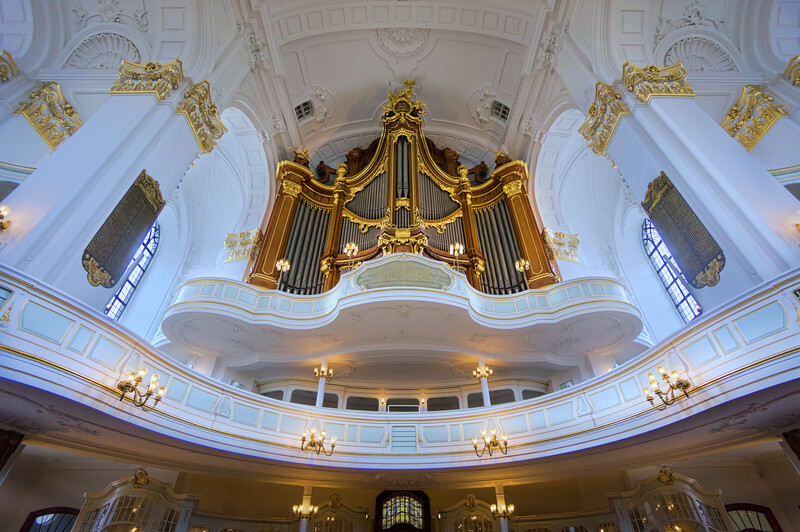 Here in this image you can see on of the organs built by Steinmeyer, which is one out of five this church has.